Since the ruling, four additional states -- Delaware, Mississippi, New Jersey and West Virginia -- have started taking bets, with Pennsylvania and Rhode Island expected to be among the next wave of states to open sportsbooks. Within a few years, experts believe more than 25 states will be offering legal betting, including online options in some jurisdictions. Gambling addiction is still often looked at as a moral issue, based on poor decisions rather than the makeup of one's brain. Science suggests otherwise, experts in the field say. "People have argued over and over that these people do it to themselves, that this is an issue of morality and greed," said Dr. Timothy Fong, director of the UCLA department of psychiatry and biobehavioral sciences. "It really isn't. Their brains are built differently." "We have the chance to do something the right way," said Keith Whyte, executive director of the National Council on Problem Gambling. "We're not there yet." It was the crack of dawn in Las Vegas, and Hatch was just leaving the Bellagio when she smiled at him as he stepped off the escalator onto The Strip. She was gorgeous and followed him across the street to the Flamingo, where he was staying. She didn't know he had just fed around $8,000 to the slot machines and had $200 left to his name. At this point in his gambling addiction, though, Hatch was so depressed that he didn't have the will to turn her down. "Why not let her come up and hang out?" he rationalized. He didn't have much to lose. "She drank all the vodka in the minibar," Hatch recalled, nearly four years after his last hurrah in Las Vegas -- the last time he gambled. Hatch, 36, is among the 5.45 million people in the U.S. who meet the criteria for problem gambling, which is similar to the number of Americans battling Alzheimer's disease. Hatch would become preoccupied with gambling, couldn't control how much he gambled and couldn't stop without assistance. "What we know about gamblers with gambling addiction is that their brains are turned on all the time," said Fong, the UCLA doctor and problem gambling specialist. "They're constantly thinking about gambling and having urges and cravings. It doesn't stop when it's supposed to. You can imagine how that would be really disruptive to your life." Sitting there, chain smoking, mindlessly hitting the spin button over and over, he'd have only a couple of beers because he didn't want to have to get up to go to the bathroom. Hatch was more open than many about his addiction and told his parents that he had a gambling problem early on in his addiction. His uncle once asked him if gambling addiction "was really a thing." It wasn't the shame or lack of understanding that scared Hatch most, though. It was bankruptcy. He filed for it in 2014, shortly after he stopped gambling. Hatch now works in the hotel business in North Carolina and in his spare time hosts "All In: The Addicted Gamblers Podcast." He has other gambling addicts on the pod and readily acknowledges to the audience that he's "just a guy with a gambling problem, not an expert." "I think it's going to be terrible," Hatch said, "but I also think, in a way, it's a good thing because it's going to show gambling addiction to many more people who didn't know that it existed." The National Council on Problem Gambling (NCPG) and its state partners are pushing for consumer protections to be included in new sports betting laws and regulations, but they're having only mixed results. In New Jersey, where some racetracks and Atlantic City casinos have been taking bets since June, the Division of Gaming Enforcement is giving 50 percent of fees from sports betting licenses to the state's council on compulsive gambling. Pennsylvania and Rhode Island have also dedicated funds to problem gambling out of future sports betting revenue. Other states, however, have not been as mindful of problem gambling in their sports betting plans, said Whyte, who is in his 20th year with the NCPG. "Those were very emotional issues," Whyte said, "but the stakeholders would sit down and have an honest discussion about them, even if they disagreed about the solution." "Gambling is quintessentially American," he added. "It's part of what makes America. We've always been risk-takers. That's something that we celebrate in every area of life, except with gambling. It's something people do but don't talk about -- until recently." Neva Pryor, executive director at the Council on Compulsive Gambling of New Jersey, said it's too early to identify any potential implications from legalization of sports betting in the state and noted that the council has not seen any changes since June, when sports betting kicked off in Atlantic City and at the state's racetracks. "I don't expect anything to happen for a couple months because they're just starting out," Pryor said. "If they do have a problem, they don't know it yet." "If I look at my patients, it is so easy to place a bet on sports right now, whether it's online or text message or going to my neighbor's house and putting money on a game," Fong said. "So it's not that sports betting isn't here." "If anything, legalizing sports betting, if done properly, should, for one, protect gamblers better by having an above-board, regulated gambling environment for people who want to do this behavior. And secondly, it should -- hopefully with the states and governments in mind -- preserve some funds and revenues and resources for men and women who do develop this disorder now that it is legalized." Les Bernal, the National Director for Stop Predatory Gambling, a Washington, D.C.-based, nonprofit group that opposes government-sanctioned gambling, often begins his presentations at gaming conferences and legislative committee hearings by pretending to spit on the floor in disgust. It's part of his portrayal of a scene from a New York Times article in which a graphic designer for a slot machine manufacturer responds to a question from a reporter about whether the creators actually play the games they make. "When you talk about slots are for losers ... these are your constituents, these losers. You can't think of another company that would refer to their customers with such disdain and arrogance." Bernal's passion and delivery are attention-grabbing. They need to be because his presence at committee hearings and gambling conferences, as one industry source put it, sometimes allows lawmakers and industry officials to "check a box." A former basketball coach and chief of staff in the Massachusetts State Senate, Bernal is determined to curtail the cultural shift toward the acceptance of gambling businesses and, more specifically, sports betting. He believes America isn't ready now -- and never will be. 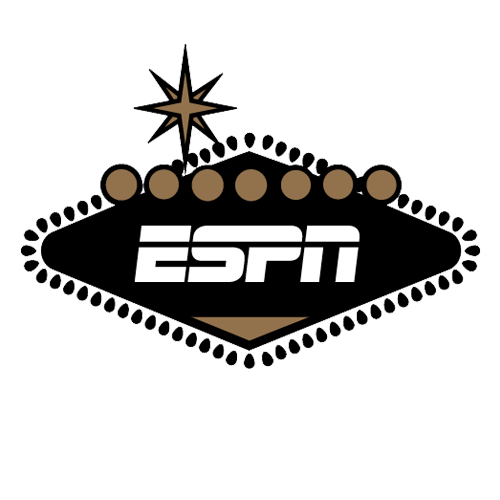 "State-sanctioned gambling has been a spectacular failure by every measure," Bernal told ESPN in a phone interview. "And sports betting would make it even worse." A 2016 Gallup poll found that the number of Americans who bet on sports had been cut in half since 1989, a result that contradicts numbers from Nevada's growing regulated sports betting industry. According to UNLV's Center for Gaming Research, the amount wagered on sports at Nevada sportsbooks grew from $1.3 billion in 1989 to $4.5 billion in 2016. "When we talk about acceptance, two-thirds of the American public doesn't even gamble," Bernal said. "There's a huge resistance in gambling." The obvious goal in the U.S. will be to stave off any increase in problem gambling, but experts say that's going to take funding for treatment and a better understanding of what causes gambling addiction. "It's only recently that we've understood gambling as a medical disorder rather than bad behavior or immoral," Whyte said. "There's a lot of shame and stigma. People's attitudes toward gambling are often shaped by moral or religious views." Hatch, who is four years into his recovery from gambling addiction, isn't confident that there is an answer. "It's going to be really bad for some people, it's going to be somewhat bad for others, and it'll be fine for the people who just play for entertainment. But it's the people like me who spend 100 bucks and lose, then next week spend 200, 300 ... if you can click a button on your phone and bet, you're just going to waste everything in your bank account." Sports betting -- and its cousin, fantasy sports -- have been ubiquitous in the U.S. for decades, whether casually with coworkers or more formally through bets with bookmakers. Now, some of that activity is being brought into a regulated market, and America has the opportunity and, some would say, responsibility to get it right.